Kneale Mann | Leadership: Nomenclature: Important or Random? It is your calling card, the first thing you tell people, the way you are identified to others. It’s the word you say after “Hi, my name is”. Barack Obama is certainly not a common name, but is now the most well known name in the world. We live in a time when we are blasted with thousands of tiny pieces of content every day. The human mind can digest a lot of data but none can process all that is fired at it on a daily basis. We must be selective and in that we need to quickly toss stuff aside so we may keep looking for the valuable information. How many people (perhaps even you) say “I am terrible at remembering names”? But we expect instant recall in a world of endless messages and chatter. Twitter, Netflix, Google, Napster and thousands of others have flown in the face of traditional wisdom. The first time I heard of Facebook, I thought it was a photo sharing site. Google was simply silly, but the name stuck right away. You have examples too. Paul Pierre Broca was a French physician who discovered an area of the brain that produces language and speech. It has since been known as Broca’s Area. Think of this as the gatekeeper to information and cognitive ability. Broca’s Area likes routine and mathematical certainty. If I said “chocolate bar”, your brain instantaneously computes those words and instantly conjures up an image. But if I said “chocolate lawnmower” you would have to stop and think about that because it makes no sense. Broca doesn’t understand that, there is no previous example to drawn upon. So in the case of naming things, we need to find the fine line between making Broca happy and creating an event so Broca can place something memorable into the database. @CurtMonash When naming a company, convenient brandability beats all. "Vertica" means more than "Greenplum" or "Netezza" -- but so what? @sparklytosingle i'm going to go with memorability as most important aspect of naming a company. @krigeren the name should be memorable and tie into the products while reflecting the mission statement and that it's unique. Google and yahoo really set the standard for naming conventions. Since then almost anything goes. Catchy is key. 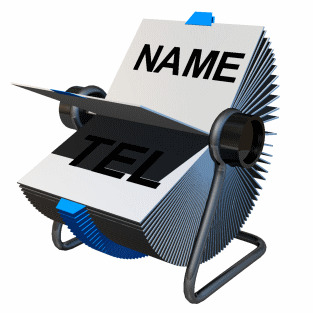 @kcarpentier77 Make the name memorable and catchy without losing sight of professionalism. @geekgiant It's a mix of domain availability and it having a story. The naming process is stressful because it’s something that lasts for the rest of the kid’s life. Ask anyone who's named Adolf or Sunshine. If you’ve been faced with the same dilemma, you know the feeling. Perhaps a cop out but maybe it’s best to keep balance in mind when you pick names for babies and companies and projects? But it’s still important to be able to understand why you chose it. If it’s for fun, that’s cool. If it’s because it’s your grandfather’s middle name, that’s okay too. There are numerous companies that specialize in choosing names, but it appears that science and logic may not always play out the way we expect.